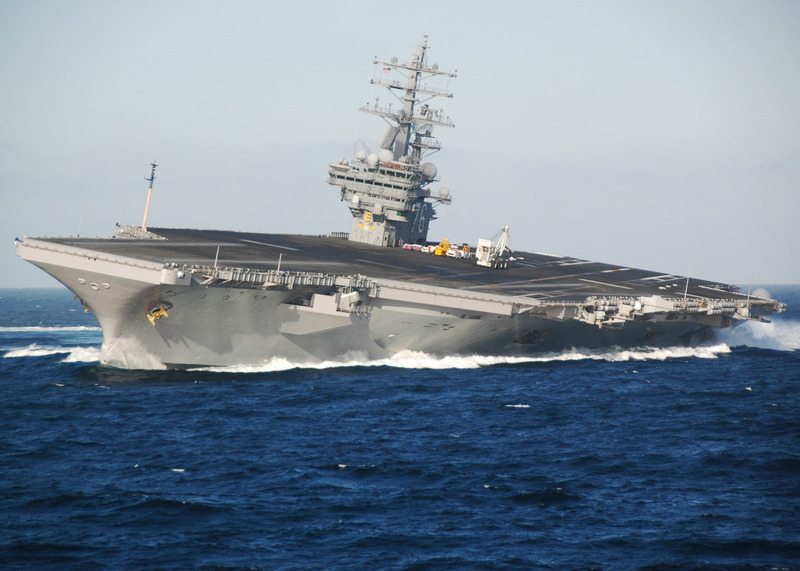 My brother is stationed on the USS Ronald Reagan and is out to sea. He sent me this picture today with this caption. I’m very proud of him and what he does for our country. I am your first commenter – HA! It’s amazing the planes don’t slide right off these carriers when they’re turning!! Nor do I see any crew… Kinda makes ya wonder, doesn’t it? I was told That they had to really tie things down and hold on. Things were flying everywere.